Yes, it is DIY Corner Bookmark time again! If you love bookmarks, like we clearly do (did you know we have already made 67 (!!) different bookmark designs?! Yep.. quite a few..), then you are in the right place. 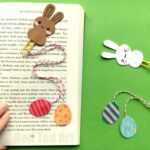 As we spring forward into Spring, we have some super cute DIY Flower Bookmark Designs (they make perfect little Easter Corner Bookmarks too, don’t you think?). 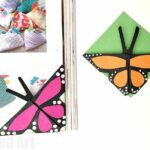 These would also make a great little Mother’s Day Craft, as well as work really well for Teacher Appreciation week too, don’t you think? They are super easy to make and look really sweet I think. 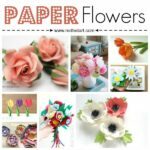 We do love paper crafts and all the things you can do with this oh so humble, yet versatile craft material!! 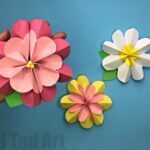 But I do think that they will definitely will make a great Mother’s Day Bookmark… If you like these little flower bookmarks.. you may also want to check out our 3d Paper Flowers! 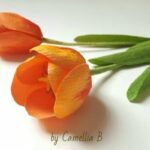 These flower bookmarks where first published in March 2017 and have been updated and republished for Mother’s Day (and for your convenience!!)! Black pen, scissors, glue stick! 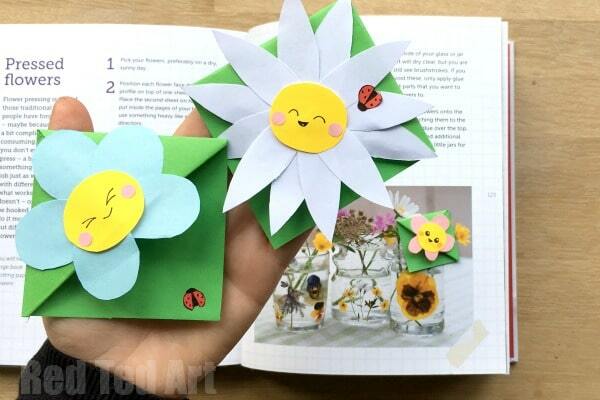 You are now ready to make your very first DIY Flower Bookmark! 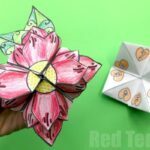 Yes, it is video time again, however, you can SEE step by step photo instructions as to how to make a basic Origami Bookmark here. 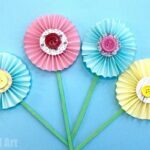 I will then add some extra info below the video as to how to recreate these adorable DIY Flower Bookmark Designs! They really are easy and are a super duper cute DIY for Mother’s Day, Teacher appreciation, Spring Bookmarks or “just because”.. don’t you think? The Kawaii Faces are optional.. but I think they are SUPER DUPER CUTE! 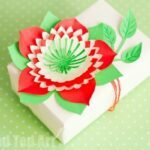 Begin by making your basic Origami Bookmark in green – like leaves or the grass. 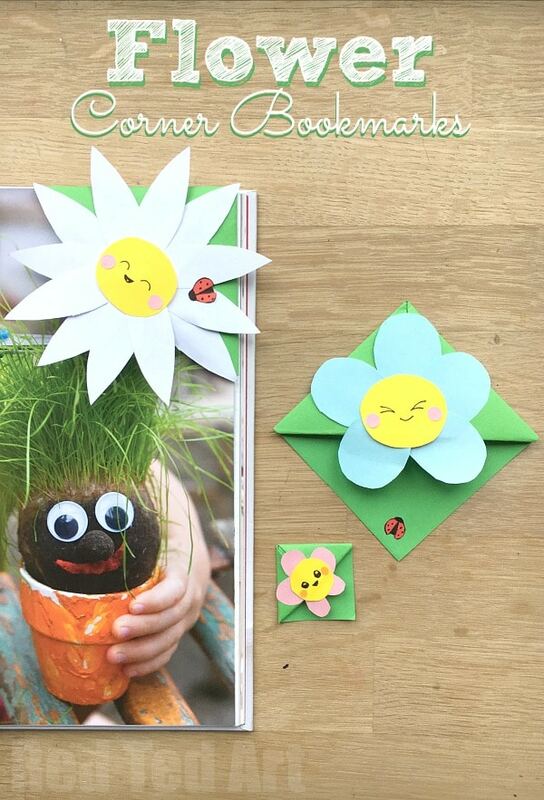 Once you have your green bookmark base, it is time to make your flowers. Decide on your colour combination of your flower bookmark, as well as the types of petals you would like. We made two different ones – the blue flower and the white daisy bookmark. For the blue flower bookmark, you will need 5 blue petals – oval shaped and one yellow one. For the daisy bookmark, I cut out 12 long thin white petals and one yellow oval for the centre of the daisy. Glue all your petals onto your bookmark, but take care not to stick them onto the lower part of your bookmark. Add your centre. Decorate with with your pens and rosy cheeks. Finally, you can make a little red ladybird or bee and as it as a cute detail. Your DIY Flower Corner Boomark Designs are now finished! Hooray. 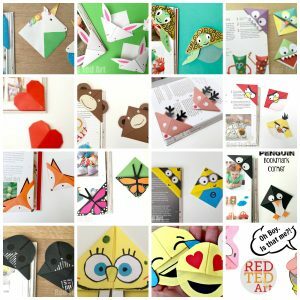 More easy Bookmark ideas here – with many new ideas added straight from YouTube – often weeks before I have to write an article like this for you – so do take a peak and see what we have been up to!